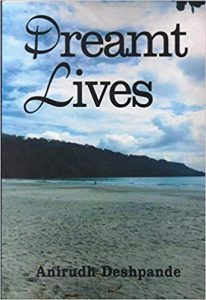 Dreamt Lives by Anirudh Deshpande, a historian of modern South Asian history, represents an attempt by the author to transcend his field of expertise which is based on sources, referencing and corroboration to a space quite the opposite of it: fiction. History and literature as disciplines, historically, have an uneasy relationship as under the postmodernist impulse the former was reduced and ridiculed to be fiction of the historian’s imagination i.e., making Deshpande’s transition simple and natural. Without getting caught up in this debate and reductionism this transition from history to fiction would have been difficult and Deshpande’s book is an example that it can be successfully done. In general, the context of the book is quite important, as his traits as an historian, his command over chronology and narrative permeate through in his writing style and the structure of the book. The story is set in the 1990s and revolves around Ravi and a plethora of characters within his universe. The entry point into his world is the death of his father the patriarch, after a long illness. This event is used as a pivot to move back and forth in his memories located in Hyderabad, Assam, Arunachal, Delhi and Gurgaon. While the language is quite lucid and simple, the issues discussed by Deshpande are complex; from personal to collective memories, social processes, sexuality, love and gender. In a way it is a social commentary of the twentieth century as his characters embody social categories, stereotypes and their place within our society. The characters are relatable and his attention to details is quite remarkable. However, what is unique about this book is its narrative style. He constantly moves chronologically and spatially within the tapestry of memories. It is command over temporality and spatiality as a historian that allows him to work with such a complex narrative style. The author claims to be inspired by the genre of Gabriel Garcia Marquez and asserts that in the book what matters in the end is not what happened but why and how we remember what happened. Arranged in seven chapters, the memories of Ravi and the context in which he remembers them is the main structure of the book. Dreamt Lives, therefore, is an intriguing work of fiction which tries to expand how we read and write fiction. However, the book’s strength is also its weakness. While the narrative style is unique and to some extent novel, it is also complex and sometimes incoherent. The transitioning between spaces and time sometimes is abrupt and may need second reading for context. Nonetheless, it’s a refreshing way to read and write fiction. The book is able to be honest about social and familial relationships on the one hand, and on the other is able to express lucidly complex categories, myths, prejudices and psyche that constitute our society today, in turn, making it a must read in the present context. Abhishek Mishra is an Assistant Professor at Kamala Nehru College, University of Delhi, Delhi.